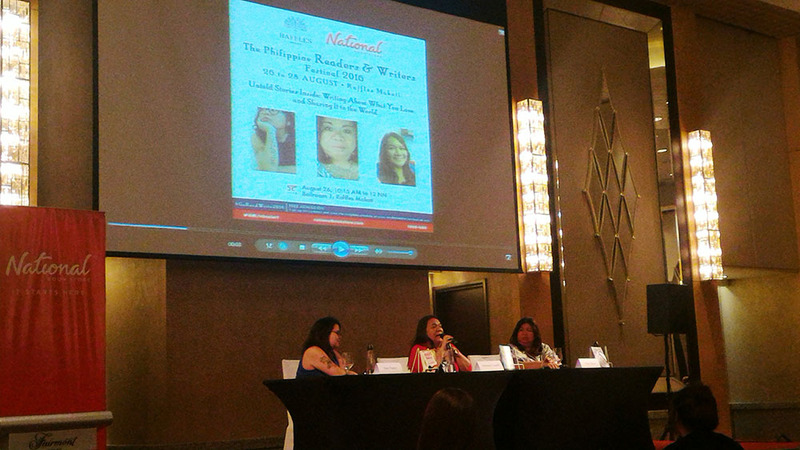 Last Friday, I attended the Philippine Readers and Writers Festival, hosted by Raffles Makati and National Book Store. It was my first time, so I didn’t have any expectations except to be inspired from the local and foreign writers who were going to speak. I met my ex-officemates from TeamAsia (I had my last day the day before), and we had a late lunch, so Merlee Jayme’s Everyone Can Be Creative was brimming with people by the time we arrived. I was sad because I wanted to hear the story of an ex-convent girl turned chief creative officer at a communications agency, but I also felt happy knowing a lot of people turned up. 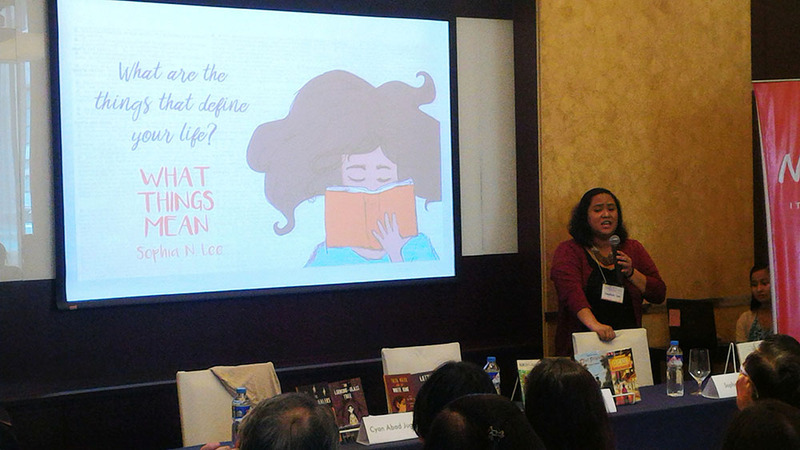 Instead, we attended Carla Pacis, Cyan Abad-Jugo, and Sophia Lee’s Teaching Young Adult Literature, where Lee mentioned how characters should be flawed and multi-dimensional, instead of fitting tired stereotypes (i.e. protagonists are pretty and villains are ugly). The next talk we attended was a panel hosted by CNN Philippines Life, called The We and the I: Stories Beyond the Page. The website invited photographer Shaira Luna, illustrator Dan Matutina, designer Mark Higgins, director Jade Castro, and furniture designer Ito Kish to talk about stories that don’t necessarily use the written word. Sadly, I had to do a French exit because I had to interview Anna Todd and Paula McLain, two of the authors National Book Store flew in to do signings. 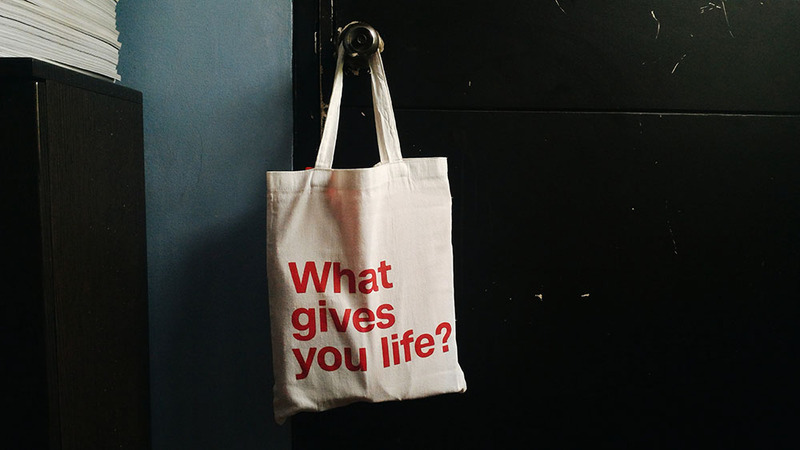 I did get a thought-provoking tote bag from CNN Life, though! I met Todd at Writers Bar, where we talked about her After series of books. She’s an inspiring figure because she started publishing her story as a One Direction fan fiction on Wattpad. One billion reads later and there’s a bidding war between publishing houses and four follow ups. 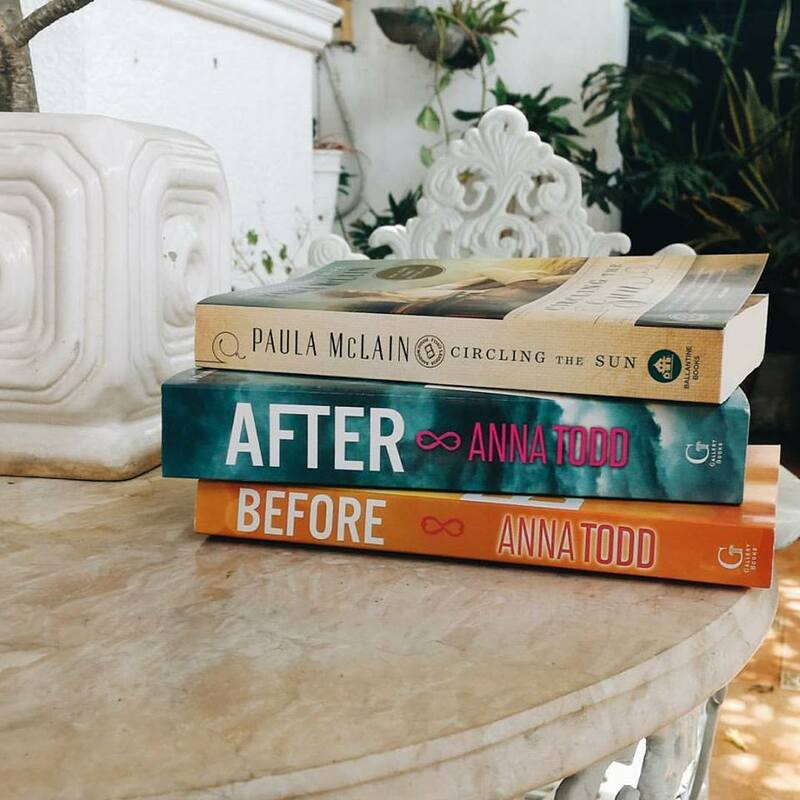 After tells the story of Tessa Young, an optimistic college freshman who falls in love with a troubled guy. I then met McLain at Long Bar to discuss Circling the Sun, a reimagining of the love triangle between “Beryl Markham, a record-setting aviator, safari hunter Denys Finch Hatton, and Karen Blixen, author of the classic memoir Out of Africa.” McLain is a soft-spoken lady and I believe we made a deep connection as we talked about the power of imagination and how to harness it even if you lead an ordinary life. After having my books signed, I rushed back upstairs to catch The Great Homo Huddle Queries on Queer Pinoy Publishing, Post-Orlando and Post-Geraldine, hosted by the wonderful Team magazine. Editor-in-chief Paolo Lorenzana (who celebrated his birthday!) was joined by poets Wanggo Gallaga and Lakan Umali, author Loreen Ordoño, and singer B.P. Valenzuela to talk about how important it is to have a strong queer voice in local media. Looking back, I realize that I was not able to complete a single talk, but I am happy to have attended because it awakened my inner writer, the one that hungers to tell a good story that does not necessarily relate to public relations. One of the festival’s speakers is AA Patawaran, who wrote the inspiring book Write Here Write Now. It is one of my favorite books about writing because it is written so eloquently, so stylishly. In one of my favorite chapters, he said, “Experience is food for the heart and so they say a writer has to open himself up to the whole gamut of human emotions, from deep sorrow to boundless joy, from nagging doubt to unwavering certainty, from murderous passion to killing ennui.” Now that I have more free time to pursue my passions, I am excited to see, not just look at, what the world has to offer.